by Bobby Amm. As the global advertising industry came together in Cannes last month to celebrate creativity, once again the lack of diversity in our industry was high on the agenda. While our international contemporaries are more focused on female directors receiving more opportunities and recognition, South Africa’s history means the challenge of promoting greater diversity is a lot more complex. Why? Because diversity means so much more than just gender: it also refers to colour, race, sexual orientation, disability, religion and age. This is a very hot topic, having direct overlap with South African broad-based black economic empowerment (BBBEE) transformation. Free the Bid is an international campaign, launched in September 2016, that aims to give female directors a voice in the advertising world. At this year’s Cannes Lions Awards, Proctor & Gamble, the world’s largest advertiser, announced that not only has it taken the pledge to “free the bid” but it’s also committed to assisting in expanding the initiative throughout the world over the next three years, together with other partners, including HP and Publicis Groupe. Free the Bid’s pledge commits corporates to ask their ad agencies and content producers for one bid from a woman director on every commercial produced. The campaign motivates diversity starting with women, because women comprise over half the world’s population and make 85% of product-purchase decisions; furthermore, more women in advertising will change the cultural misrepresentations of women and will also help women working in film across all platforms. Free the Bid has recently added women working as DOPs and editors to its roster, so it seems likely that the initiative will expand to make the case for women to have greater access in all departments. The initiative is already displaying positive results. Since its inception, over 400 female directors’ reels have been added to the Free the Bid database; over 50 top global agencies and 12 global brands have taken the pledge; and there has been a 400% increase in jobs awarded to women by participating agencies. Free the Bid has also been launched in South Africa with director Leigh Ogilvie as our country’s designated ambassador. While the South African production sector is in full support of the Free the Bid initiative, there’s arguably no country in the world which has the same challenges as we do when it comes to promoting diversity and encouraging the transformation of business and society. As much as we all agree that female directors should be given greater opportunities, there needs to be a caveat that this shouldn’t necessarily be at the expense of our racial transformation agenda. The Free the Bid model does show that, if industry participants commit to increased diversity, positive results can follow and this should encourage local players to commit to prioritising diversity in all its many forms. One way to do this would be to sign the pledge at Free the Bid or simply to implement an internal policy that calls for at least one bid from a “diverse director” on every commercial put out to pitch; the results can only lead to a more-favourable result for everyone. Yes, gone are the days where women could only stereotypically shoot babies, or beauty. A woman director can shoot cars and make metal look amazing [or a soccer ad that goes viral worldwide — ed-at-large]. And, yes, why not try a female director on a ‘he-man’ beer ad? One might just be pleasantly surprised. It’s time to spice it up and allow for change. It doesn’t have to be of a political nature but let’s view it as an opening of the doors of equality and creativity. Bobby Amm is chief executive of the Commercial Producers Association of South Africa (CPA), the trade association of production companies that produce television, cinema and internet commercials for the local and international market. After a brief stint in journalism, she began her career in the industry at the Consultative Committee for the Entertainment Industry in the early 1990s. She first joined the CPA in 1997 but left three years later to join a production company. After finding that she missed the big-picture perspective of the CPA and the interesting issues which continuously perplex the production industry, Bobby returned to the CPA in 2003. 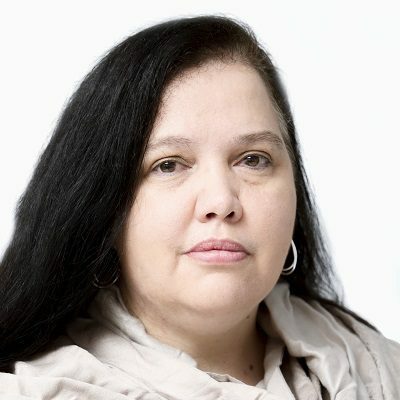 She contributes “The Martini Shot” column monthly, covering developments, trends and insights into the commercial production and film services industries in South Africa, to MarkLives.